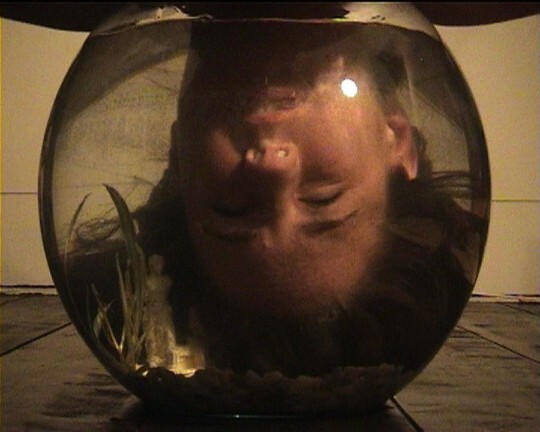 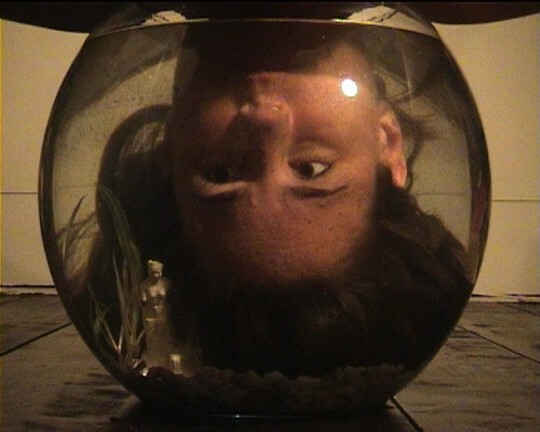 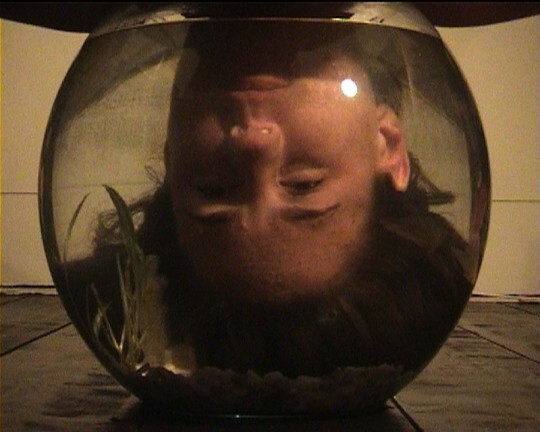 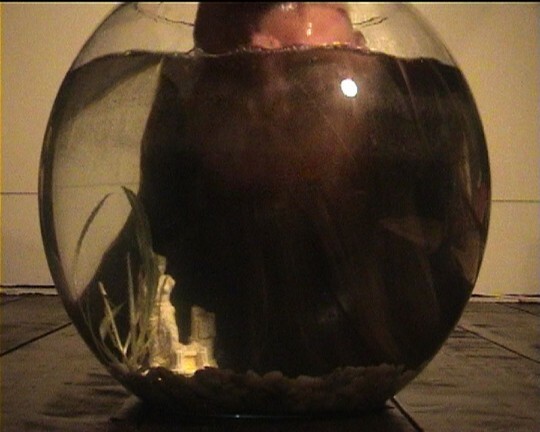 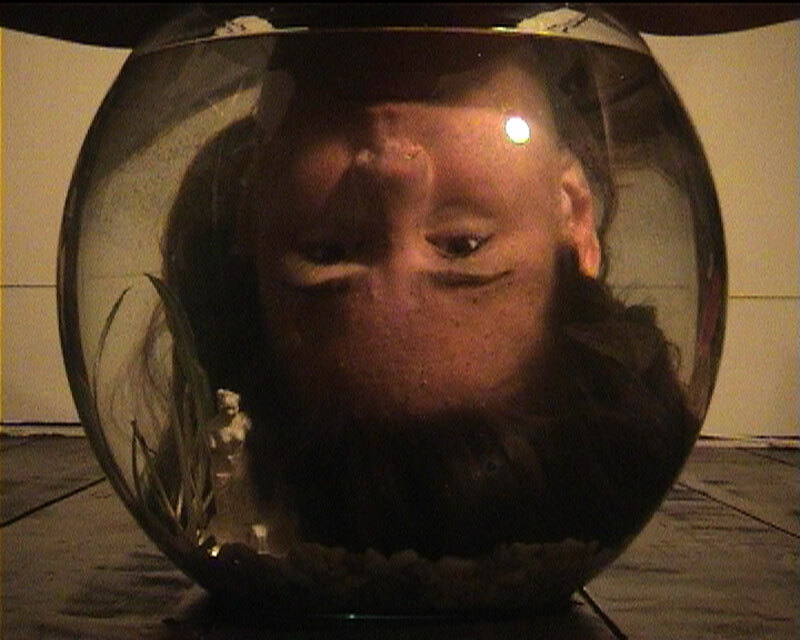 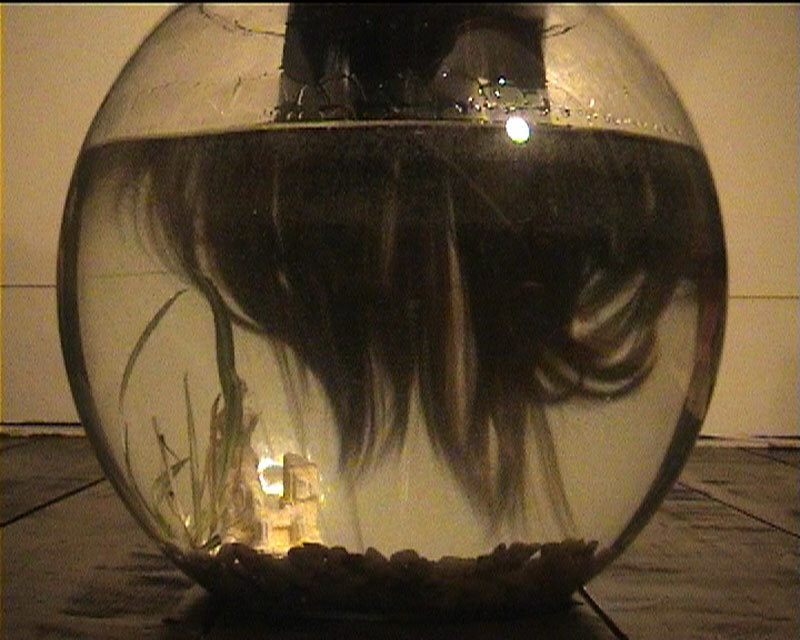 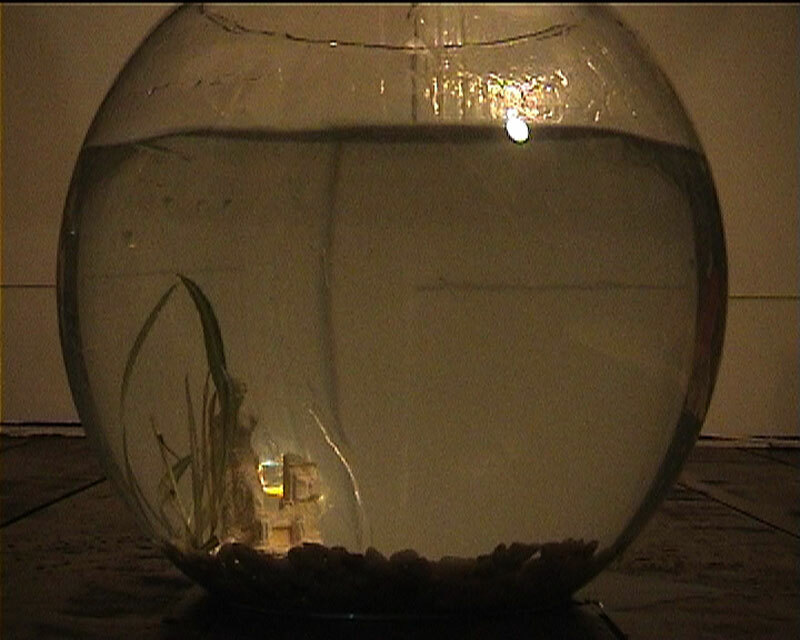 Fishbowl is an interactive installation for the exhibition theoneminutes ‘Now’ in Montevideo, Amsterdam. On a screen above the entrance of the exhibition is a fishbowl projected. 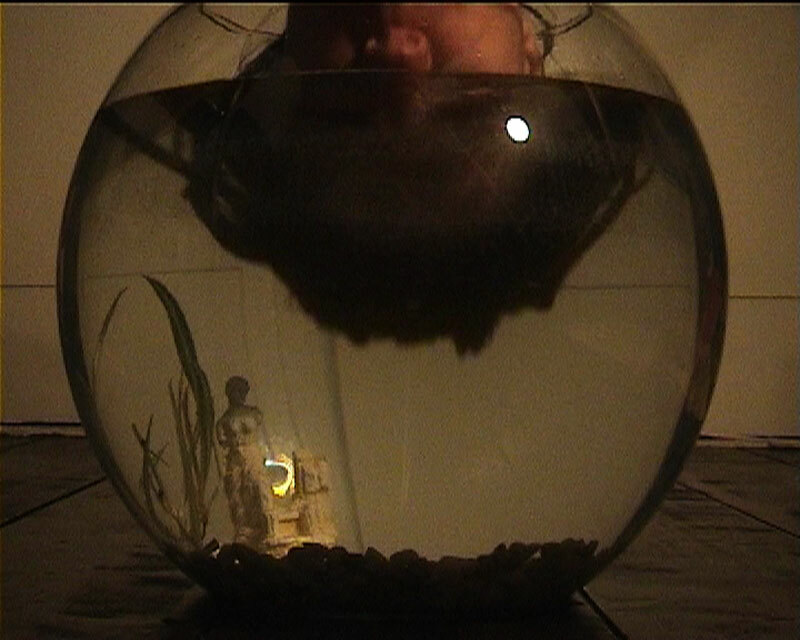 In front of the screen stands a white statue with a red alarm button. When the red button is pushed a womans head fills the fishbowl. 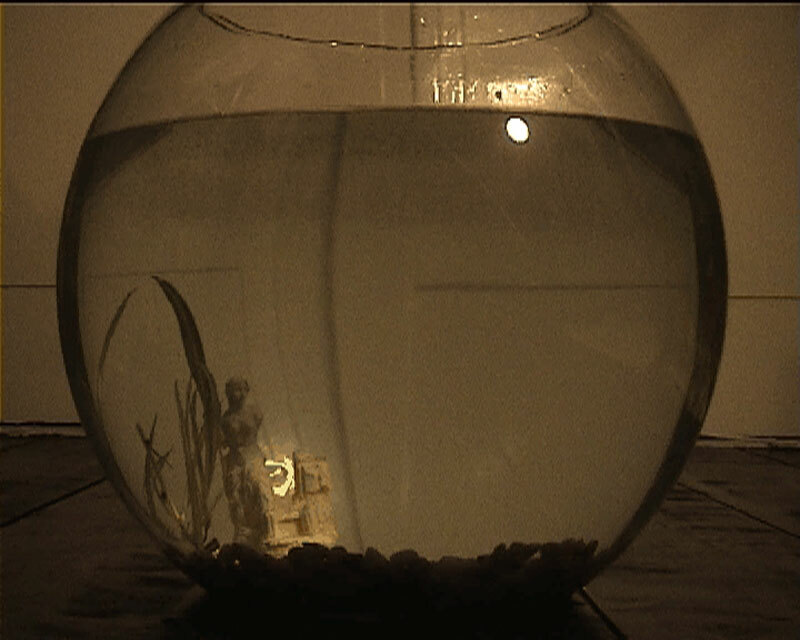 As long as the button is pushed, the woman stayes, underwater in the bowl untill one minute has passed.